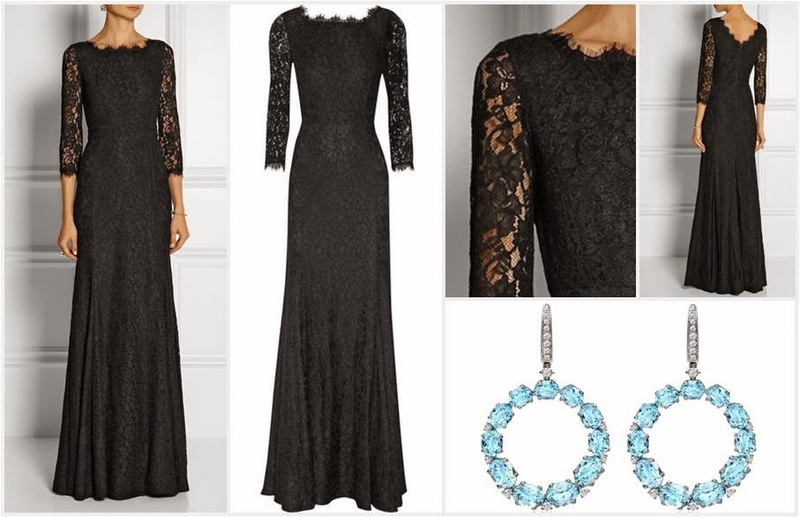 Let's close the week on an elegant note, shall we? TWO elegant notes, in fact. Thursday was a good day for evening gowns. The Duke and Duchess of Cambridge took on the task of attending the annual Royal Variety Performance, something that rotates between family members. Has anybody else noticed that William made the switch to loafers (in velvet or suede, looks like) with his tuxes now? I feel like we should talk about that. Subtle slipper style. Me likes. I shall await his debut of the McQueen beaded skull style. I suspect you did not come here to talk about men's shoes, though. Fair enough. To Kate! She wore a new dress from Diane von Furstenberg in black lace. This is the second DVF lace gown we've seen this month, actually, the first being the plum number sported by Princess Stéphanie during Germany's state visit to Luxembourg. Put Stéphanie's color with Kate's neckline and sleeve length, and I'd be in heaven. I'm in heaven anyway because of a Kate Updo Sighting, mind you, but I'm quite greedy. It's getting to that time when I start pondering the best looks of the year, and people, we have a serious contender for Mary's best. This is a Moment right here, capital M. That sparkly dress under all those lights, fabulous! Mary's navy blue gown is from Jesper Høvring, worn with her aquamarine girandole earrings, a massive ring, and an Ole Lynggaard Flower bracelet. 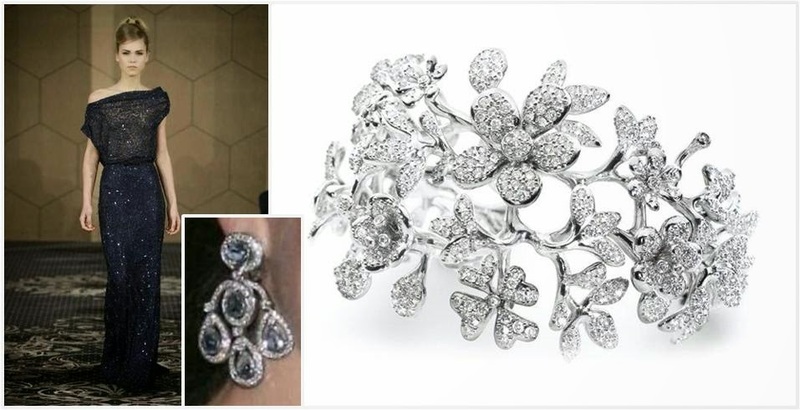 She's worn the matching Lynggaard Flower earrings in the past, and though I usually reserve my drooling for the older jewels, I neeeeed this set in the worst way. Sadly, no Santa that's ever visited my house has pockets quite that deep. Le sigh. Anyway, this has been your dose of Friday pretty. Carry on.